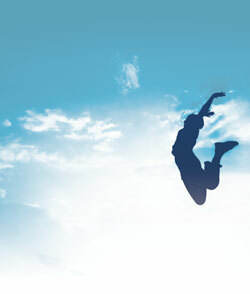 Held on Friday 13th and Saturday 14th June 2008, the British Franchise Exhibition (Glasgow) will feature many well-known companies offering a wide variety of business opportunities, making it a 'not to be missed' event for all aspiring entrepreneurs. 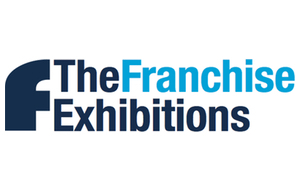 The exhibition, which is sponsored by the British Franchise Association (bfa) and the Daily Mail, is the perfect place to find out all there is to know about franchising and how to run a successful business. Visitors to the show will be able to meet with a wide range of leading franchise companies and assess for themselves the benefits of running their own business as part of an established franchise brand. Visitors can also meet existing franchisees to gain a clear insight into the reality of working with a particular business. Top franchises will be in attendance including: Cartridge World, Revive! Auto Innovations, Cash Generator, Ink Refills, Myhome, Premaman, Snap-on-Tools, National Schoolwear Centres, the streat franchising and Travail Employment Group. In addition there will be experts from the bfa as well as banks, accountants and solicitors who will be on hand to discuss every key issue from raising finance through to legal contracts. Designed for prospective franchisees, this seminar is aimed at aspiring business owners who are new to the franchising concept and will address issues such as: the benefits of franchising versus other business formats; what the franchisor looks for in a franchisee; what a franchisee should look for in a franchisor; the size and the expected growth in the franchise market; the initial choice of a franchise; the business plan; and finance and how to get financial backing. The panellists are all either bfa affiliated or bfa members. Designed for prospective franchisors, this free hour-long seminar consists of a short introduction to franchising as a means of expanding an existing business or developing a new venture. The exhibition also incorporates the Growing Your Own Business Showcase which features companies offering small business advice and help on how established businesses can develop and grow. The showcase will be supported by a free conference with seminars providing practical advice and information on all aspects of growing a business. Highlights include a keynote address from Amanda Jones and James Brown, founding directors of award-winning design company Red Button Design, entitled 'Small business growth strategies: goals for successful CEOs'. Other speakers include Alisdair Northrop, Editor of Scottish Business Insider, who will be speaking on how to build a buzz through PR for your business. The conference will culminate on day one with a presentation from Fraser Hay, founder of the Results Academy, a business support network created for entrepreneurs by entrepreneurs. Fraser will be providing tips on how to get the best results from your marketing initiatives. On Saturday 14th June James Howell, Managing Director of leading marketing services company E2 Marketing, will be providing advice on how to build a successful search marketing campaign. Concluding the seminar programme will be William Buist, Managing Director of Abelard Management Services. William will be offering his ideas and thoughts on networking and how to connect your business with the right people. 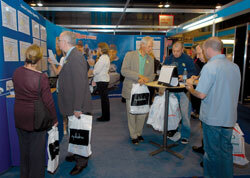 For free entry to the exhibition, just download our Glasgow franchise exhibition e-ticket.